Happy Tuesday and welcome to my first proper Tuesday article! Sorry for the time between posts but I’ve been in something of a stupor following the end of a successful semester. Last time was just an introduction, this time let’s get into the nitty gritty: my first book review. For this I’ve decided to start with omnibus #1 of Jim Butcher’s The Dresden Files graphic novel. So really this review will cover two short stories and two novels worth of illustrated Dresdenverse. And here lies one of my initial concerns: the layout of the omnibus. It begins and ends with an illustrated short story, with the first two novels of the series sandwiched in between. It goes like this: “Welcome to the Jungle,” Storm Front, Fool Moon, “Restoration of Faith.” But confusingly, both short stories occur before the novel in the DF timeline. In fact, the very last part of the omnibus occurs earliest, sequentially. I suppose this is because this is the order each of these was released as graphic novels, but I still found it jarring when I was finishing Fool Moon and ended up rolling right into “Restoration,” jumping back in time about 4-5 years in DF time. It’s a give and take, for sure, but the overall effect works well. Storm Front and Fool Moon are the first two novels in one of my favorite series. 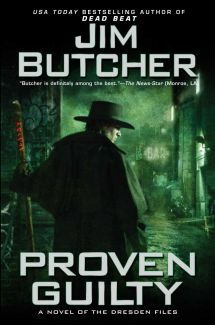 They are also Jim Butcher’s first published novels, and he was just starting to find himself as a writer. The stories include elements of noir and detective fiction that are largely tossed to the wayside in the more recent entries of the series. He does it well, but it’s flawed in a way that’s hard to put a finger on. Butcher’s storytelling, worldbuilding, and ability to develop characters really starts to shine around book four, so I am looking forward to seeing that in graphic novel form at some future point. A mostly minor gripe I have with these graphic novels is in the typography. There are typos. Not a lot, but more than enough to be noticeable, and given that the graphic novels have far fewer words than the source material, it’s a bit disappointing. Several times I was jarred out of the story by an irritating typo that forced me to decipher what was being said. The most notable of these is an omitted word at the end of the first novel. To fans of the series, the last couple lines of book one are iconic. “My name is Harry Blackstone Copperfield Dresden. Conjure by it at your own risk.” In the graphic novel, the word “by” is omitted. It just says, “Conjure it at your own risk.” This changes the meaning of the statement somewhat, and, to me, is an annoying deviation from the source material. Overall though, I enjoyed these graphic novels. In fact, I enjoyed them so much that I read all of them in the space of an evening. The graphic novel format gives you an alternative way to get in on the ground floor of this amazing series. Whether you’re a fan of the series or just a fan of the Fantasy genre and looking for something new and fun to read, I would heartily recommend these. Citation: Butcher, Jim, and Mark Powers. 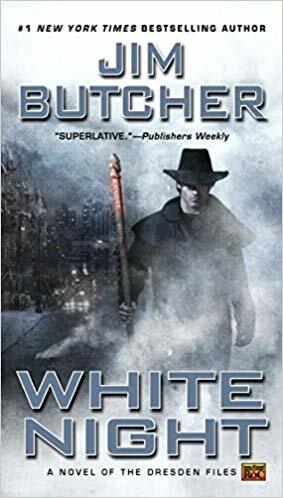 Jim Butcher’s The Dresden Files Omnibus, Volume 1: Welcome to the Jungle; Storm Front; Fool Moon; Restoration of Faith. Mt. Laurel, NJ: Dynamite Entertainment, 2015. Print.